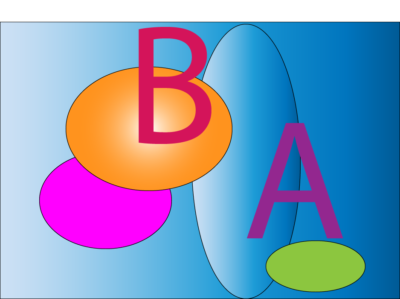 This post deals with the Business Analysis Key Concepts which are described in BABOK v3. These core concepts are fundamental to the field of business analysis, BABOK & IIBA’s certifications like ECBA, CCBA or CBAP. BACCM or business analysis key concepts model is a conceptual framework for the field of business analysis. It kind of defines the field of business analysis and provide framework which is used to perform business analysis. It defines six terms for the field of business analysis and these definitions remain same across domain, organization or methodology. These concepts are vital for Business Analysis and you cannot perform BA without applying them. Evaluate the impact of these concepts and relationships at any point during a work effort to establish both a foundation and a path forward. These are defined for all knowledge areas in BABOK and you need to go through them for each of them. Change The act of transformation in response to a need. Change works to improve the performance of an enterprise. These improvements are deliberate & controlled through business analysis activities. Need A problem or opportunity to be addressed. Needs can cause changes by motivating stakeholders to act. Changes can also cause needs by eroding or enhancing the value delivered by existing solutions. Solution A specific way of satisfying one or more needs in a context. A solution satisfies a need by resolving a problem faced by stakeholders or enabling stakeholders to take advantage of opportunity. stakeholder A group or individual who is related to change, need or solution. Stakeholders are often defined in terms of interest in, impact on & influence over the change. Stakeholders are group based on their relationship to the needs, changes, and solutions. value The worth, importance or usefulness of something to a stakeholder within a context. Values are potential or realized returns, gains & improvements. Values can also go down in the form of losses, risk or costs. There are two types of value, tangible & intangible. Tangible value is something which is measurable in terms of gains or profit. Intangible gains are indirect benefit of the solution; they are strategic in nature and have a positive impact on the company’s brand image & employee morale. In some cases, it is possible to measure the exact value of the solution, but usually it is measured in relative terms from the perspective of the stakeholders. Context Context deals with the circumstances of the change. They explain how circumstances influence or get influenced by in the context. Changes occur within a context. Context explains and define the environment of the change. It may include attitudes, behavior, beliefs, competitors, culture, demographic, goals, government, infrastructure, languages, losses, sale, seasons, terminology, technology, weather and any other element meeting the definition. What are the kinds of changes we are doing? What are the needs we are trying to satisfy? What are the solutions we are creating or changing? What do stakeholders consider to be of value? These are widely used in ,requirement analysis & business impact analysis. if you are preparing for IIBA’s certification like CBAP or preparing for business analyst jobs, you should understand the concept of BACCM.